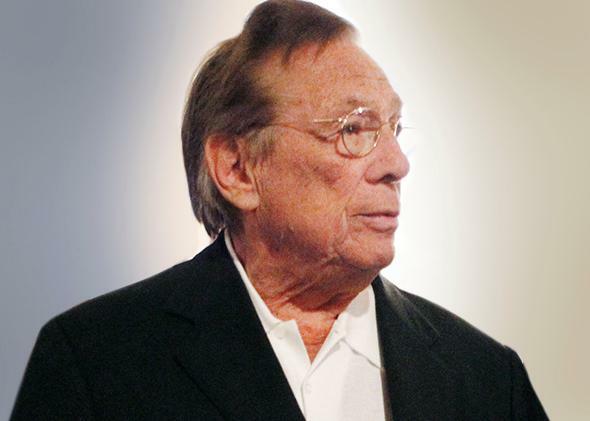 Donald Sterling, Koreans: What the Clippers owner’s love of Korean-Americans reveals about racism in America. What the Clippers owner’s love of Koreans reveals about racism in America. Donald Sterling’s affection for Koreans is the flip side of a deeply held, racist worldview: Alongside the “undesirable” minority groups, there is another that does everything right. Photo silhouette by Slate. Photo by Danny Moloshok/Reuters. There’s something insufficiently descriptive about calling Los Angeles Clippers owner and real estate developer Donald Sterling a racist. By now, everyone is familiar with the baffling remarks he made to his girlfriend, admonishing her for featuring photos of black people on her Instagram feed and for bringing her black friends to Clippers games. These weren’t merely the words of a jilted madman. They fit within a broader pattern of behavior, most notably a series of lawsuits in which Sterling was charged with housing discrimination on the basis of race against Latino and black tenants—black people “smell and attract vermin,” he allegedly remarked to his staff. This is racism in its most recognizable, blatant form: the powerful bigot creating structural obstacles against the advancement of poor minorities. But there’s another piece to Sterling’s warped worldview, one that illustrates the bizarre and incoherent ways in which racism works. As Sterling allegedly schemed to rid his properties of certain racial minorities, he sought to fill his development with Koreans, an ethnic group he valorized as hardworking and reliable. Sterling did not take a passive approach to attracting Korean tenants. He changed the name of one of his buildings to “Korean World Towers,” adorned his buildings with Korean flags, and explicitly stated a preference for “Koreans” in his housing ads. A group of tenants, who saw this as a thinly disguised attempt to discriminate against black and Latino housing applicants, filed a discrimination case against Sterling in 2002. In 2003, a U.S. district judge issued an injunction barring him from using the word “Korean” in his building names and advertisements. Legions of social scientists and historians have debunked the myth of the Asian-American’s “natural” orientation toward economic achievement. They point out that it is more a function of immigration trends in the 1960s, which favored East Asian professionals who often arrived with significant educational and wealth advantages. In the mythical retelling, the minority’s model behavior speaks to an inborn superiority, an almost genetic predisposition to success. This is the flip side of a deeply held, racist worldview: Alongside the “undesirable,” vermin-attracting minority groups, there is another group that does everything right. Why did Donald Sterling idealize Koreans? Because, in his view, they did whatever Donald Sterling wanted them to do, and they did it without complaint. This will all sound very familiar to Asian-Americans, cast as the put-upon overachievers, whose head-down, by-the-bootstraps stoicism has resulted in remarkable educational and financial attainment. The “model minority” myth persists in part because it is cited as evidence that the system works. It makes for a great story—the plucky, determined Asian-American succeeding where others have failed. But the ultimate beneficiaries of this racial typecasting are the people who invoke the model as a bludgeon against others. Sterling’s admiration for his Korean tenants is actually a kind of scorn. After all, he still subjected Korean tenants to the same degrading treatment as everyone else—the only difference is that the Koreans seemed willing to take it. Of course, focusing exclusively on one minority’s gain when pitted against another risks obscuring the bigger picture. These moments when Korean-Americans enter the Sterling narrative are a reminder of how, on the rare occasions when Asians are invited in to a public conversation about racism, it is to play the role of the middleman. This is how California’s debates around affirmative action, for example, have become framed, with Asian-Americans as the purported victims of policies that benefit their fellow minorities. We don’t have a good way to talk about any of this publicly. More often than not, observers frame America’s racial dramas according to a black-white binary, one that abides by familiar tropes of hateful bigotry and righteous condemnation. This dynamic is central to American history, yet it feels inadequate in moments like these. While it’s not quite on par with degrading other minorities as lazy or filthy, Sterling’s praise for his hardworking Korean tenants and the “Asian way” reveals how racism can be a collection of contradictory impulses. Love and hate, praise and condescension—they are all engines of exploitation. Above all, Sterling saw the world in terms of winners and losers (“I like people who are achievers,” he once noted), and he used this logic to categorize racial groups along a sliding scale of desirability. For Sterling, Koreans never merited the decency of being looked upon as individual human beings. Rather, they were a faceless bloc, a group of indistinguishable “achievers” that did nothing more than provide the contrast that enabled his contempt for blacks. This is the lesson of Donald Sterling’s racism: A hierarchy that flatters those at the top and demeans those at the bottom can only serve to distract us from noticing the one shuffling the rankings.